CARFAX One-Owner. 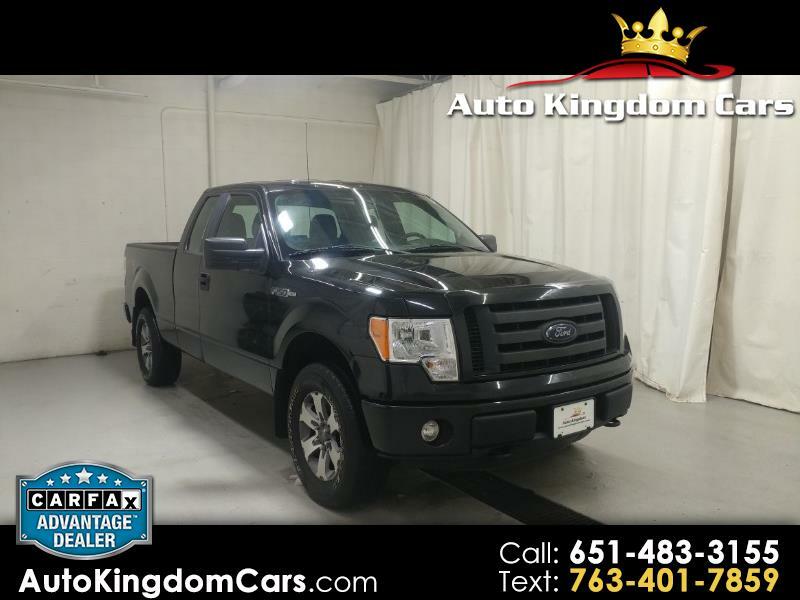 Tuxedo Black Metallic 2013 Ford F-150 STX 4WD 6-Speed Automatic Electronic 5.0L V8 FFV 2013 Ford F-150 STX in Tuxedo Black Metallic, ***ONE OWNER***, **4WD**, **FINANCING AVAILABLE**, **ALL TRADES WELCOME**, **KEYLESS ENTRY**, **CRUISE CONTROL**, **POWER LOCKS**, **POWER WINDOWS**, **STEERING WHEEL CONTROLS**, **CD PLAYER**, **TRAILER HITCH**, **BLAINE, MN**. Recent Arrival! Awards: * 2013 KBB.com Brand Image Awards We sell over 50 cars a month. Please call to make sure the car you are looking at still is available 651-483-3155. We are your #1 customer rated car dealer in the twin cities. NO COMMISION, NO HAGGLE PRICING and NO GAMES makes car buying enjoyable for everyone. We offer financing for all credit situations. We are located at 10841 Mankato St NE, Blaine, MN 55449. Just 1 mile east of Highway 65 on 109th Ave NE. Call Today 651-483-3155. Thank you. Visit Auto Kingdom online at www.autokingdomcars.com to see more pictures of this vehicle or call us at 651-483-3155 today to schedule your test drive.